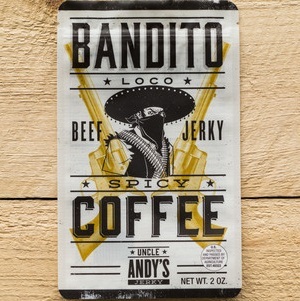 This notorious outlaw gets fired up for his next great heist by snacking on this jerky with savory coffee flavor and laced with just a touch of chili pepper. Good thing Bandito Loco steals only from the rich to give to the poor! Viva la revolución!